There are several lunch restaurants in Helsinki that main stream tourist guides don’t mention but we think these are essential part of our lunch culture and wanted to dedicate couple of posts for them. In the first post, I’ll go through some university restaurants in the city centre of Helsinki that are also open for general public. Before introducing the lunch places, a bit of background on the tradition. 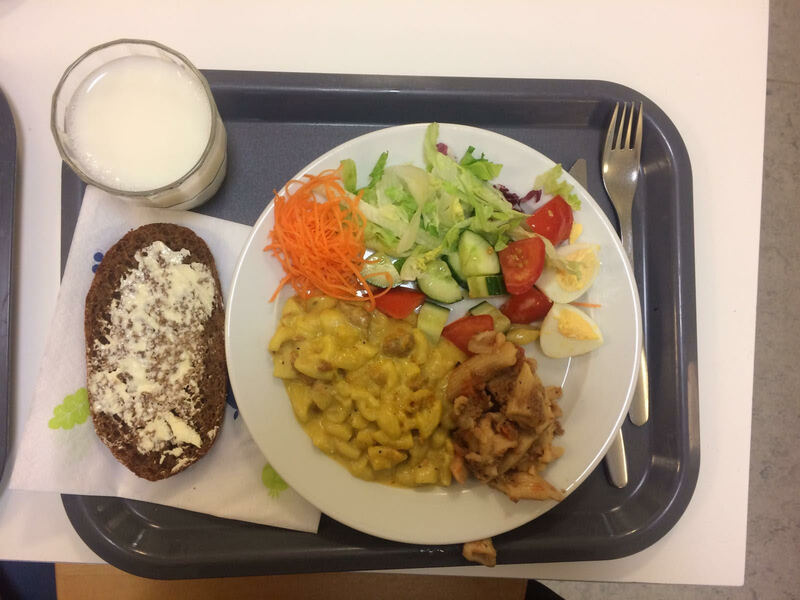 Since 1943 Finnish students and pupils have had the right to free meals during school days. It consists of a warm main course, a side of vegetables, bread and a drink. 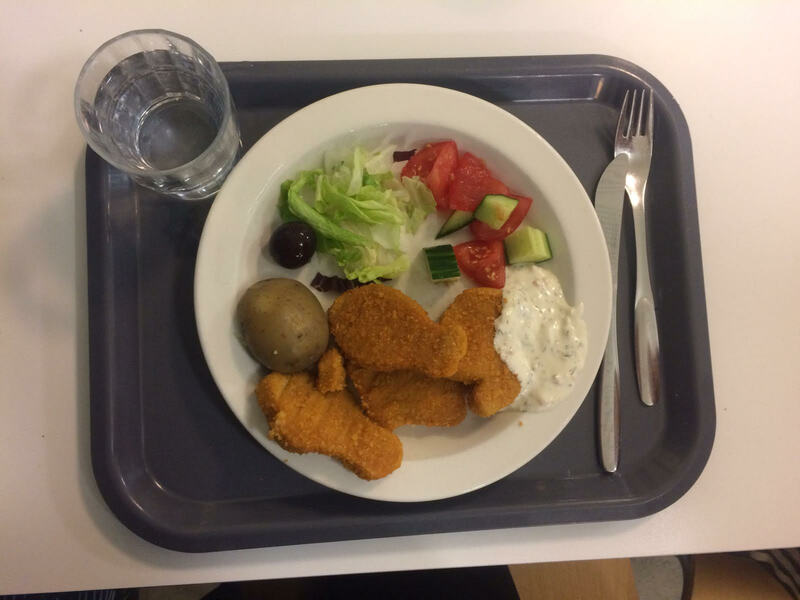 An example of a Finnish school meal. Picture by Elli. This tradition has gone from schools to working life and universities. Student meals are subsidised and many employers provide lunch benefits. Most often people will go out for lunch and enjoy a hot meal with affordable prices from 8 to 10 euros. These self-service restaurants offer homefood (a direct translation of the Finnish word which means meals made at home) which include drink, main course, sallad, bread and sometime coffee or even dessert. These restaurants are mostly located in university buildings – feel free to go inside and look for the restaurant. These restaurants are open also for general public. There are differnt prices for students as their meals are subsidised. The highest price on the menu is generally for everyone else and they vary from 6-10 euros. This restaurant is located in Helsinki University’s main building. It’s on the ground floor. Just turn right after entering the building. Porthania’s restaurant is located in the University block and is convenient to visit while exploring the city centre. Hanken’s restaurant is very popular among students. It can get crowded around lunch time but worth of trying if you are around. Chydenia’s restaurant is located in the basement and has quite nice atmosphere.